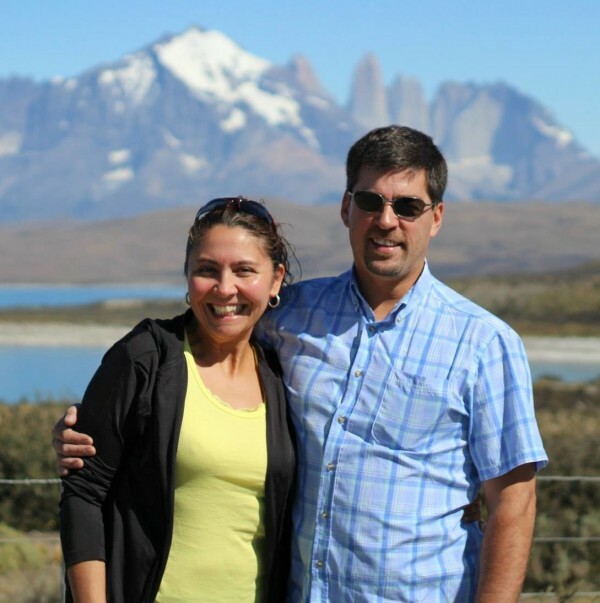 We are a couple born here in Patagonia. Sergio and I (Marcela) started working in tourism in 2006 when our good friends from Erratic Rock 1 Rustyn and Bill invited us to be part of the Erratic Rock family. Our hostel keeps the ideals of Erratic Rock 1 but it is meant to be for couples, like us. We enjoy sharing and talking with people from different parts of the word, personally I enjoy listening about how people live in other parts of the world, I love speaking english (perhaps because I lived in the States and became and english teacher), Sergio tries to communicate but understands more than he speaks. We have two little ones Martina and Emilio you will see them around asking wether you need anything, breakfast time or just cuddling with mom and dad. If you e-mail us I will be answering all your questions as soon as I can, see you down here in Patagonia.